In recognition of research with strong potential for health and economic benefits, five researchers have been named winners of the 2016 Elsevier Foundation Awards for Early Career Women Scientists in the Developing World. 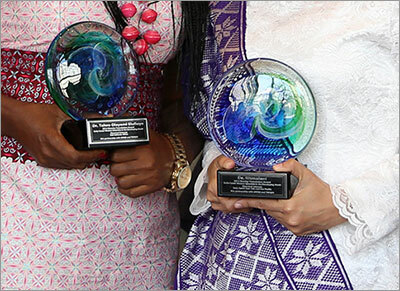 The winners will receive their awards on Saturday, February 14, in a ceremony at the Minority and Women Scientists & Engineers Networking Breakfast. If you are interested in attending, contact Ylann Schemm. The winning scholars – from Indonesia, Nepal, Peru, Uganda and Yemen – will receive their awards February 13 in a ceremony at the Gender & Minorities Networking Breakfast at the American Association for the Advancement of Science (AAAS) Annual Meeting in Washington DC. They will also serve on a panel at the Global Women’s Institute at George Washington University at 3:30 pm February 11. The Elsevier Foundation awards are given in partnership with the Organization for Women in Science for the Developing World (OWSD) and The World Academy of Sciences (TWAS) for the advancement of science in developing countries. The program rotates annually between disciplines (medical/life sciences, chemistry and physics/math). These year’s women are being honored for their accomplishments in nutrition, psychiatry, biotechnology, women’s health, bioenvironmental sciences and epidemiology. They are also being celebrated for mentoring young women scientists who are pursuing careers in agriculture, biology and medicine. The recognition is intended to invigorate the winners' careers by giving them new visibility and networking opportunities, allowing them to engage with colleagues and the public early in their careers. The winners also serve as a source of inspiration for other women in countries where more scientific expertise is a critical need. 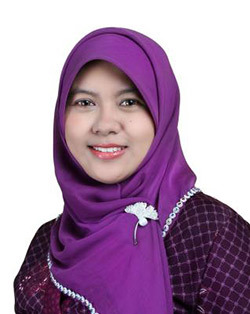 Dr. Fatmawati is being recognized for her work analyzing the medical and pharmaceutical potential of plant and fungi extracts normally used in herbal medicine. She has also received the prestigious Pemenang Fellowship International L'Oréal-UNESCO for Women in Science for research analyzing substances from sponges that may lead to treatments for malaria, cancer and Alzheimer’s disease. I don't know what the future brings, but I know science is part of my soul. I hope more young generations will share their life with science for a better world. 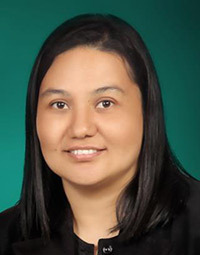 Dr. Maharjan is being recognized for her work using soil microbes to develop medically useful chemicals. Microbes create a great number of the materials used in medicine, including antibiotics. Dr. Maharjan is currently researching bacterial strains from the high-altitude regions of Nepal to identify substances useful for development of new antibiotics, as well as other medically useful compounds. The most rewarding part of my research is to find novel drugs and antibiotics from Streptomyces bacteria of Nepal that have great potential to combat the emerging drug and antibiotic resistant diseases worldwide. 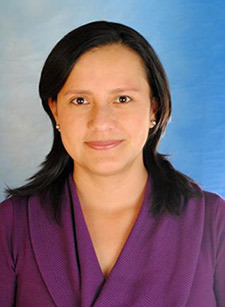 Dr. Blas is being recognized for her work in epidemiology using information and communication technology to solve health problems, particularly sexually transmitted diseases in urban and rural Peru. She also leads the Mama River Programme, training community members to use smartphones to collect basic information from pregnant women and forward this information to a medical ship to schedule visits. Female leadership in Latin America is growing. I feel proud to be part of this new generation of women scientists who are trying to make a difference in their country and in the world. Dr. Nakimuli-Mpungu is be recognized for her work using psychotherapy as treatment of depression and alcoholism in Ugandans with HIV. Depression is a serious problem for HIV patients throughout Sub-Saharan Africa, making it more likely that those patients will stop taking their HIV-antiretroviral medications. 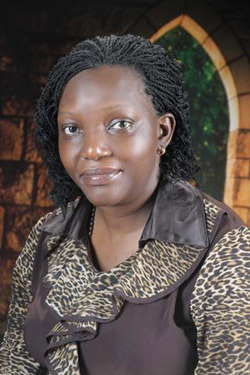 Dr. Nakimuli‐Mpungu is working with service providers to integrate depression screening with HIV-treatment, as well as to include local communities in discussions of depression to help destigmatize the illness. A country needs human capital – individuals who are productive members of society. This innovative model helps people coping with HIV/AIDS to regain their dignity, self-esteem and desire to fully participate and contribute to their communities. 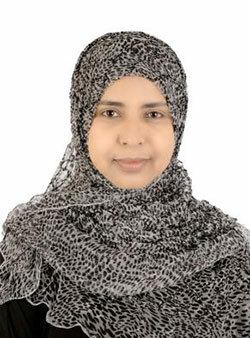 Dr. Al-Naqeb is being recognized for her research using chemicals isolated from Yemeni herbal plants for disease prevention. For example, a major focus of her work has been black cumin seeds, which are commonly used as a spice in Yemen, other Middle Eastern countries and India. Her research on these seeds has focused on their effects in protecting the heart from cardiovascular diseases. Despite all the difficulties we face in our country, Yemeni women have always worked hard to raise the name of Yemen. I am very pleased to represent my country with my scientific research. Recipients were selected by a panel of eminent scientists. The prize includes USD $5,000 and all-expenses-paid attendance at the 2016 AAAS Annual Meeting. "The determination, commitment and enthusiasm of these five women is an inspiration to us all but especially to other women undertaking scientific research in developing countries,” said OWSD President Fang Xin. “This award celebrates their excellent science and demonstrates that their hard work has had an impact both regionally and internationally, despite the difficult local conditions." "These are exemplary researchers, and their work has enormous potential to improve people's health and support stronger communities," said TWAS Executive Director Romain Murenzi. 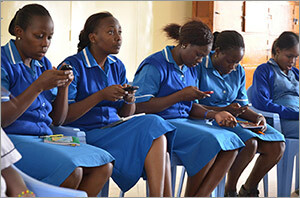 "Their work will be widely appreciated for the benefits it can bring to developing countries. Just as important, they will serve as models and as inspiration for young scientists – women and men – of a new generation." Ylann Schemm (@ylannschemm) serves as the Elsevier Foundation Program Director which, provides partnership grants to advance global health, research and sustainability in developing countries and promote diversity in science. 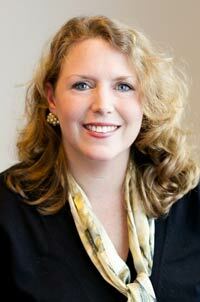 She is also the chair of the communications team for Research4Life, a unique UN-pan publisher partnership to provide free or low cost access to researchers in the developing world. Ylann is based in Amsterdam.